To prove a case for Breach of Contract, the Plaintiff is required to prove certain “elements”. In the law, elements are stepping stones to proving the case. If the Plaintiff have taken all of the steps, then the other party is required to present additional evidence or defenses that will rebut the Plaintiffs case. What is a Valid and Enforceable Contract in Texas? To prove an action for breach of contract, the plaintiff must establish it performed, tendered performance of, or was excused from performing its contractual obligations. Krayem v. USRP (PAC), LP., 194 S.W.3d 91, 94 (Tex. App.–Dallas 2006, pet. denied). To establish that the Plaintiff performed, they must show that fully or substantially performed its contractual obligations. Weitzul Constr., Inc. v. Outdoors Environs, 849 S.W.2d 359, 363 (Tex. App.–Dallas 1993, writ denied). To establish that Plaintiff tendered performance, the Plaintiff can establish that it tendered performance of its obligations if they can show they were ready and willing to perform its dependent promise, has the present ability to perform its promise, and notifies the other party of its readiness to perform. Perry v. Little, 419 S.W.2d 198, 200-201 (Tex. 1967). In some cases, the Plaintiff’s tendered performance may have been excused. To establish that their performance under the contract was excused, the Plaintiff is typically required to show that Defendant materially breached the contract. Mustang Pipeline Co. v. Driver Pipeline Co., 134 S.W.3d 195, 196 (Tex. 2004). Other actions of the Defendant that may excuse performance are repudiation of the contract (Glass v. Anderson, 596 S.W.2d 507, 511 (Tex. 1980)), that performance was prevented by Plaintiff (Petras v. Criswell, 248 S.W.3d 471, 480 (Tex. App.–Dallas 2008, no pet. )), that Plaintiff’s performance was waived by Defendant (Regent Int’l Hotels, Ltd. v. Las Colinas Hotels Corp., 704 S.W.2d 101, 103-104 (Tex. App.–Dallas 1985, no writ), or that some requirement of the contract, known as a condition precedent, to Plaintiff’s requirement to perform under the contract was never met (Calce v. Dorado Expl., Inc., 309 S.W.3d 719, 742 (Tex. App.–Dallas 2010, no pet.). The Plaintiff is required to establish that the Defendant did, in fact, Breach the Contract. Methodist Hosps. v. Corporate Communicators, Inc., 806 S.W.2d 879, 882 (Tex. App.–Dallas 1991, writ denied). A “breach” means a failure, without legal excuse, to perform a promise that forms all or part of an agreement, the refusal to recognize the existence of the agreement, or the doing of something inconsistent with its existence. B&W Sup. v. Beckman, 305 S.W.3d 10, 16 (Tex. App.–Houston [1st Dist] 2009, pet. denied). To prove their case, a Plaintiff must also show that the Defendant’s actions cause them some monetary or financial injury. Velvet Snout, LLC v. Sharp, 441 S.W.3d 448, 451 (Tex. App.–El Paso 2014, no pet.). There are numerous defenses to breach of contract. Non-lawyers will shrug their shoulders when they hear that, however, in the real world of contracts, there could be many reasons that a contract may not have been formed, breached, or otherwise. For this reason, an attorney representing either side of the case, Plaintiff or Defendant, must be fully aware of the defenses that may be asserted in order to properly advise and represent their client. Some of the most common defenses will be discussed, in part, below. Statute of Limitations- Contract actions have a four year statute of limitations to enforce after a breach has occurred. Tex. Civ. Prac. & Rem. Code § 16.070. Illegality- the defendant can assert the defense that the contract is illegal, even if the contract was legal at the time the contract was entered into (usually as a result of some change in the law). Denson v. Dallas Cty. Credit Un., 262 S.W.3d 846, 852 (Tex. App.–Dallas 2008, no pet.). 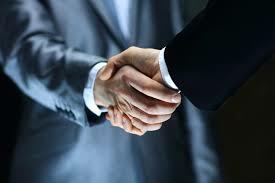 Mutual Mistake- A contract made under both parties misconception or ignorance of a material fact may be voidable. Winegar v. Martin, 304 S.W.3d 661, 667 (Tex. App.–Fort Worth 2010, no pet.). Failure to Perform Conditions Precedent- If the Plaintiff pleads that all conditions precedent have been met, Defendant must specifically deny any conditions precedent to the contract that the defendant claims have not been met by the Plaintiff. Hill v. Thompson & Knight, 756 S.W.2d 824, 825-826 (Tex. App.–Dallas 1988, no writ). Other likely defenses, depending on the circumstances may be impossibility of performance, force-majeure or act of god, economic impracticability, accord and satisfaction, Fraud, novation, unconscionability, lack of mutual assent or obligation, waiver, mitigation of damages, offset, immunity, and many others. Each defense must be based on the facts of the case and must be presented with good cause by any person or attorney asserting them, according to the Texas Rules of Civil Procedure. Each defense asserted must be proved in the same manner that Plaintiff must prove their own case, meaning that when the Defendant asserts a defense, they must prove each element of their defenses in order for it to be applied in their case. Guest and Gray is committed to serving local North Texas businesses and individuals asserting and defending their contractual rights. We have helped hundreds of businesses and individuals contract related matters, including real estate, construction contracts, service contracts, and countless other contract disputes. If you have a contract litigation need, call Guest and Gray Law Firm today and let our experienced contract attorneys review your case and begin asserting your rights today! Disclaimer: The information contained above is for informational purposes only and provides a general overview of the law in Texas on Breach of Contract claims. It in no way is to be substituted for independent advice and counsel of a licensed attorney and in no way establishes an attorney-client relationship between the reader and the author.